Moscow, Russian Federation—On April 16-23, 2018, the “The Digital Economy: Man, Technology, Institutes” was held at the Faculty of Economics of Lomonosov Moscow State University. 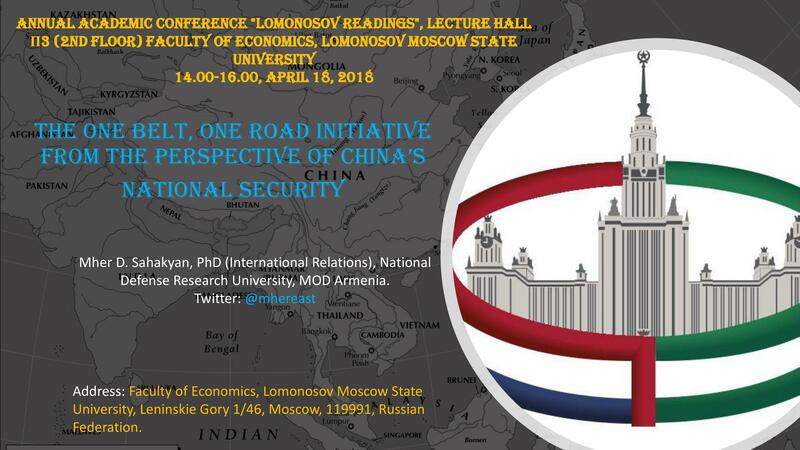 This prestigious academic symposium was organized in the framework of the annual “Lomonosov Readings” conference by the Lomonosov Moscow State University. Selected scholars from different countries were invited to introduce their research օn the “The New Silk Road” Section. Mher Sahakyan (PhD in International Relations, Research Fellow at the National Defense Research University, MOD, Armenia) was among them. He presented his research on “The One Belt, One Road Initiative from the Perspective of China’s National Security”. Invited speakers included Lapidus L. V. (Advanced Doctor in Economics, Prof., Head of Center for Social and Economic Innovation, Faculty of Economics, Lomonosov MSU), Dadabaeva Z.A., (Advanced Doctor in Political Science, Lead Researcher, Institute of Economics, Russian Academy of Sciences), Turaeva M.O., (Advanced Doctor in Economics, Lead Researcher, Institute of Economics, Russian Academy of Sciences), Vardomskiy L.B., (Advanced Doctor in Economics, Prof, Principal Researcher, Institute of Economics, Russian Academy of Sciences), Dai Liyan, (PhD in Economics, Assoc. Prof., Institute of International Relations, Liaoning University, China), Glinkina S.P., (Advanced Doctor in Economics, Prof., Institute of Economics, Russian Academy of Sciences), Xuexi Huo, (Prof., NorthWest A&F University, China), Sharipov F.F., (PhD in Economics, Assoc. Prof., State University of Management), Dyakonova M.A., (PhD in Political Science, Assoc. Prof., State University of Management), Eszterhai V., (Senior Researcher, Pallas Athene Innovation and Geopolitical Foundation, Hungry), Dai Liyan, (PhD in Economics, Assoc. 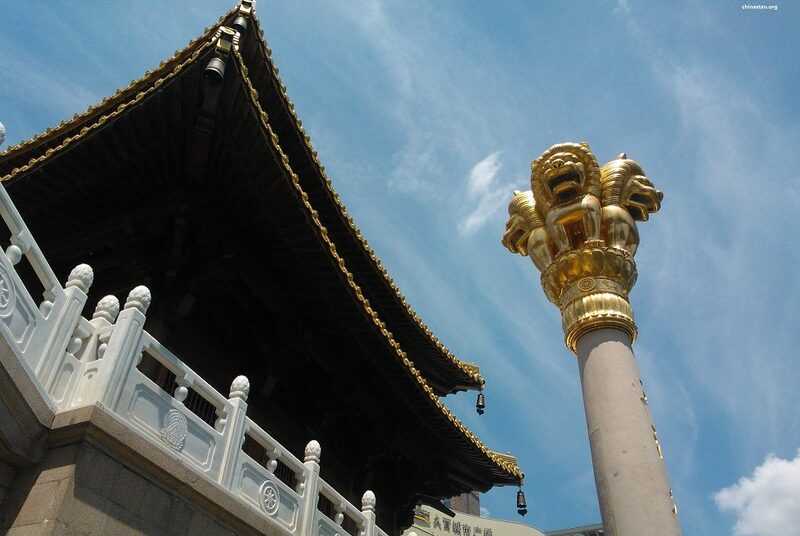 Prof., Institute of International Relations, Liaoning University) and others. The Academic Seminar was chaired by Buklemishev O.V., (PhD, Assoc. Prof., Vice Dean for International Relations, Head of the Center for Economic Policy Research, Faculty of Economics, Lomonosov MSU). Mher gave a detailed analysis on security factor of the OBOR in modern International Affairs and made recommendations on improving cooperation between Armenia and China on security issues in the context of harmonization of the EAEU and OBOR. The presentation was followed by a discussion on both the topic of research and the methods used by the speaker. The Lomonosov Moscow State University is the leading university of Russian Federation. The National Defense Research University (NDRU), MOD Armenia was opened on January 28, 2016. Lieutenant General Hayk Kotanjian (Advanced Doctor in Political Studies, Prof.) developed the Project of NDRU during his academic fellowship at the U.S. National Defense University. The goal of this unique research university in the region is to increase the efficiency of the Armenian defense security system through bridging research and educational activities. Among the tasks of the NDRU is the research in the areas of regional security dynamics, cybersecurity and ICT, strategic gaming, as well as developments targeted at the effective management of cyber-digital resources. Based on these studies, relevant analyses and recommendations are submitted to the political-military leadership of Armenia contributing to the enhancement of their knowledge in the field of security policy.